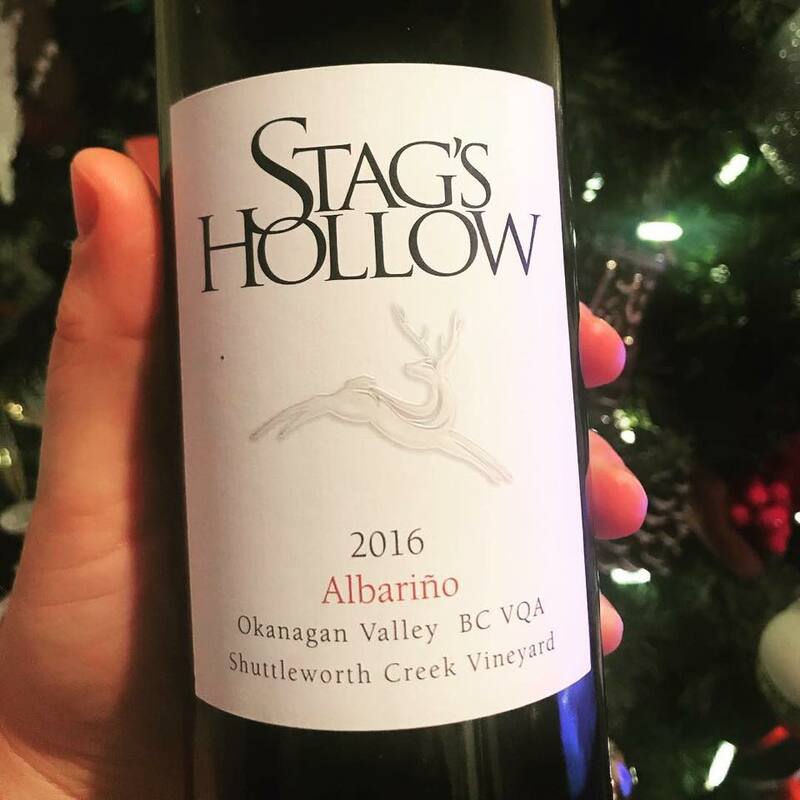 Here’s an absolutely crushable (yet still serious) wine from Okanagan Falls’ Stag’s Hollow Winery. Owners Larry Gerelus and Linda Preugger are awesome because they refuse to follow the norm when it comes to planting grapes in the Valley. These guys make some super cool and fantastically delicious wines from grapes that very few other people have planted in the Okanagan. Grapes like Tempranillo, Grenache, Teroldego, Dolcetto and this Albariño come to mind. This Albariño is bright and lively. It tastes like biting into a slightly underripe necatarine (in the best possible way!). Its also got lemon and lime notes, electric acidity and a beautiful white floral note. Shannon and I drink a lot of this wine on our patio during warm Okanagan summer evenings! This is also a wonderful aperitif wine in the winter or paired with your Christmas Eve feast of seven fishes. Crush it with oysters on the half shell, steamed clams with chorizo, or shrimp cocktail with garlic aioli. Alternatively, use that bright acid to cut through the richness of roast chicken or pork shoulder.